These wheels are made for crushing! The Motormaster brings vanity to a while new level. He annoys the Stunticons (and everyone else) with bombastic proclamations and his habit of referring to himself in the third person. Secretly he is insecure about his place among the much larger Decepticons. He has reinforced trauma buffers and shock absorbers, making him likely to survive any collision. His greatest weakness is the disloyalty he inspires in those under his command. Prelude: Like all Botcon figures, Motormaster (or rather THE Motormaster) is a repaint, in his case of Animated Voyager Optimus Prime. Seeing as it’s been three years since I reviewed that figure, plus the fact that I really like Motormaster, he gets a full review anyway, though the focus will, of course, be on the differences. Robot Mode: Let’s get the one negative thing about this figure out of the way first: they didn’t give him a different weapon. Motormaster still carries that strange pseudo-axe thing Optimus had as well. It doesn’t look quite as out of place here as it did for Optimus, but still. At least you can give him the squirt gun, which looks more natural in the hands of a Decepticon, and just leave the axe thing aside. Apart from that, Motormaster is the same excellent figure Optimus Prime was. The colors were changed, of course, as Motormaster appears mostly black and purple with some silver highlights thrown in, all very reminiscent of his G1 version, despite that figure having a lot more grey. And there is, of course, the new head. G1 Motormaster basically had a face sitting inside a square grey box, so Animated Motormaster got a new head as well, as well as a big moustache. It looks hilarious and manages to make this figure look very different from Optimus, despite being near-identical. I know a few fans were upset that Motormaster was repainted from Optimus Prime and not Animated Wreck-Gar, but I honestly don’t see a problem with it. A great-looking robot, a cool new head, a sharp paint job. Now if only they’d replaced that weapon... but apart from that: no complaints at all. Alternate Mode: Naturally Motormaster transforms into the same kind of truck Optimus does and, seeing as the new head isn’t visible in this mode, the colors are the only difference. This time, of course, Motormaster is just a truck without a trailer, unlike his G1 incarnation which had the trailer built in. This might be a blessing in disguise, though, if the rumours about a third-party trailer with all the necessary parts for forming Animated Menasor should turn out to be true, but I digress. A good-looking truck mode, which can be enhanced by the axe-thing transforming into a kind of mini-trailer. No complaints. 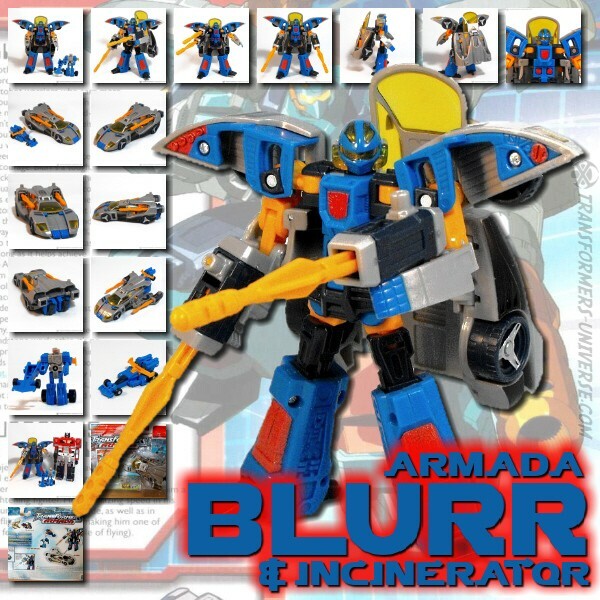 Remarks: Animated Motormaster’s sole in-media appearance to date is in the Botcon 2011 comic book, titled “The Stunti-Con Job”, set directly after the series finale of Animated. He and his Stunticons posed as Autobots and their show was to be a cover for breaking Megatron out of prison. Thanks to Autobot policebots Sideswipe and Cheetor, plus some help from Optimus Prime himself, they failed and ended up sharing cells with the other Decepticon prisoners. Though he had but a few lines in the comics, it sufficed to portray him as the self-absorbed ego-maniac we remember from his G1 days. Very nicely done. Being both a G1 and Animated fanatic, I was, of course, ecstatic when I heard about the Stunticon Botcon set and there was never a question that I would buy it. I don’t have a special favourite among the five figures, though I have to say that I love the cheesy moustache they painted on Motormaster, as well as his habit of always referring to himself as “The Motormaster”. Add to that the fact that Voyager Optimus Prime from Animated was a first-rate figure to begin with, and you have a winner. I’d have given him a straight A if he’d come with an improved axe.